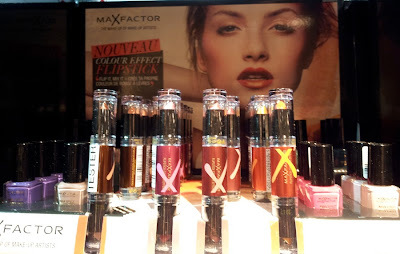 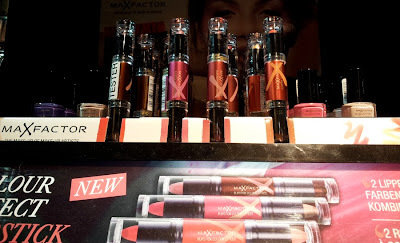 Max Factor often releases products that are extremely similar to those by its sister brand, Cover Girl (both are owned by Proctor & Gamble). Like the Cover Girl Blast Flipstick, the Max Factor Flipstick Colour Effect features a rich, creamy colour paired with a lighter, iridescent lipstick shade. 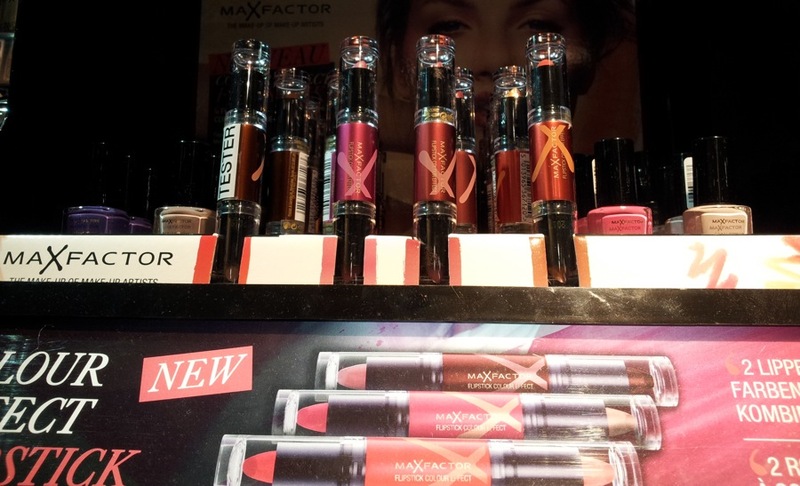 Only four color combos are available in Switzerland, versus six in the UK and thirteen for the Cover Girl version in the US. 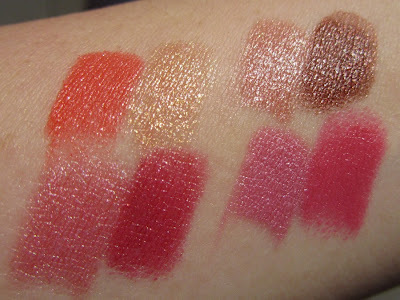 These have a lovely texture that glides on very smoothly. 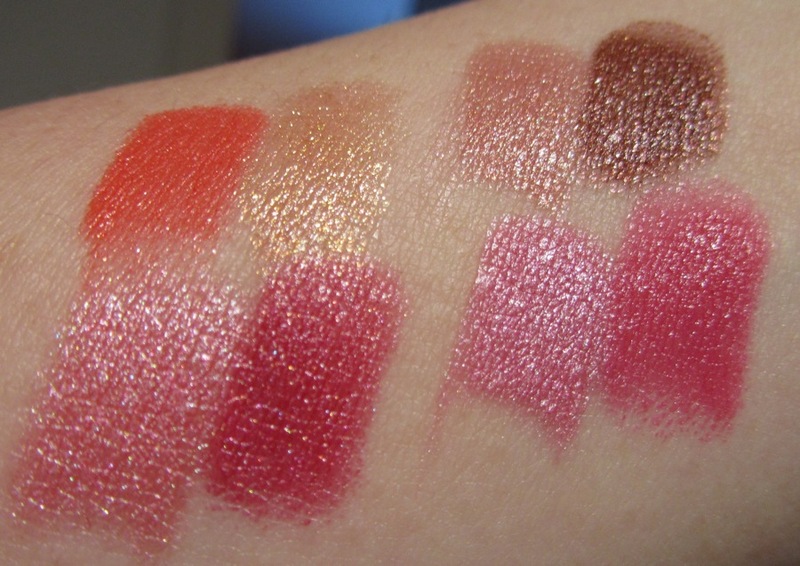 The richer shades have very impressive color payoff. 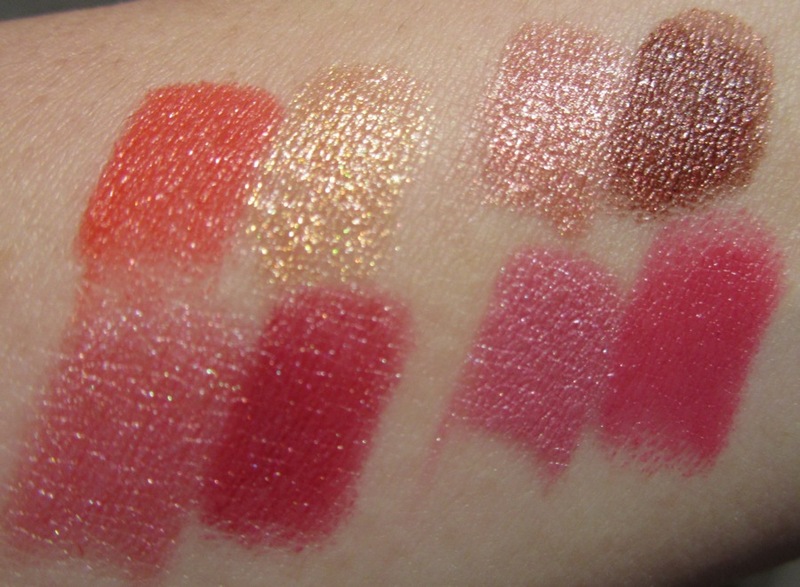 The lipstick bullets are quite a bit smaller than normal though, which probably takes some getting used to.